* Vaasvara Sterling silver dangle earrings with detailed beautiful leaflet like pattern and an ornate border. 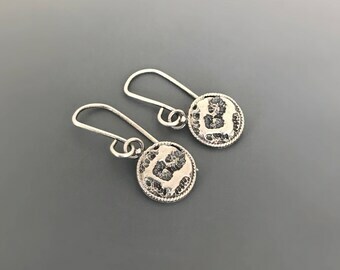 You'll absolutely love these earrings! From the new Earth inspired series. Psithurism is a Greek word for the sound of rustling leaves. 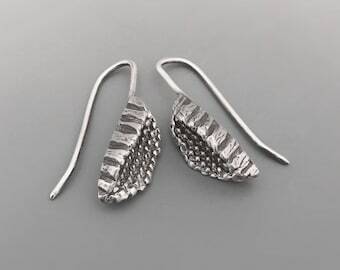 These earrings are sturdy and beautiful, a perfect union of elegant form and alluring pattern. These are totally flattering, comfortable to wear and have a lovely shimmer! 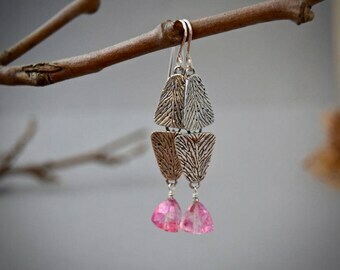 * The earrings hang at around 1.57 ( 4cm) inch including front of the ear wires. 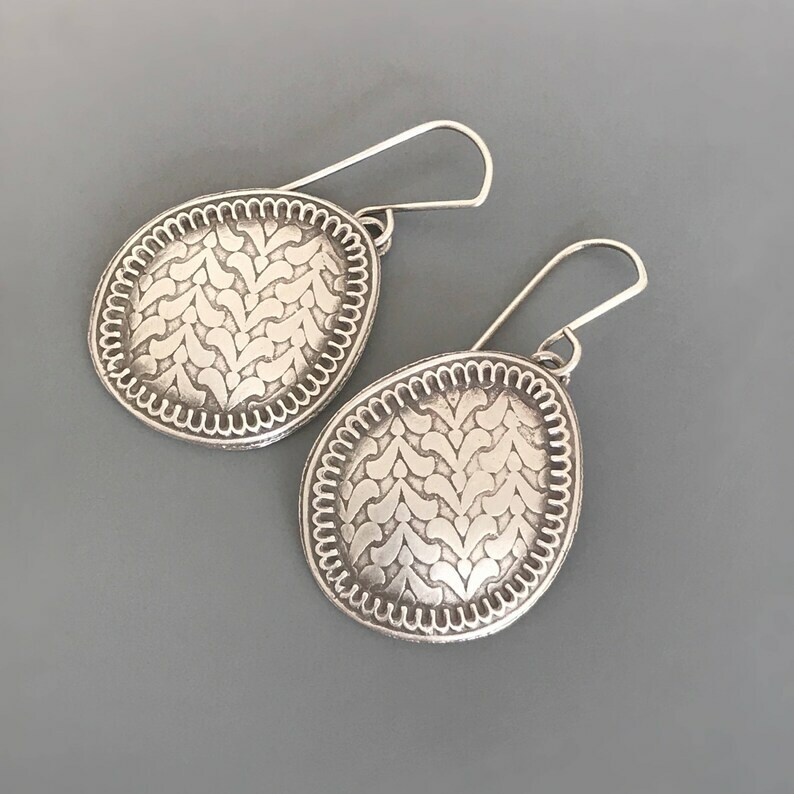 The earwires are sterling silver 20 gauge. 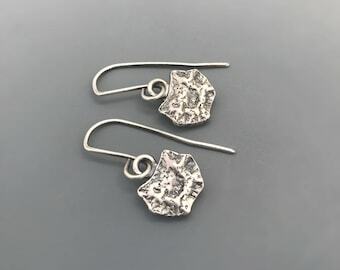 * This pair is offered in bright and oxidized silver, third image shows how it looks in bright silver. Meenu was terrific! Responsive to messages and special requests as well and followed through all while shipping quickly. Excellent artist and seller. These are unique and lightweight! Thank you!